Shopping our "shop by size" section makes finding those perfect pieces a breeze! Adorable's features trendy and unique clothes for infants, toddlers, little girls and now and extended line for our older girls! We're committed to helping parents find the best quality ensembles from everyday wear to that extra special frock! Dress your new princess in our newborn to 24 months baby section! Our baby lines include brands like Giggle Moon and Isobella & Chloe, Haute Baby and Serendipity. From her first Christmas or holiday outing to her very first photo shoot, we have you covered! Adorables Children's Boutique's unique toddler clothing (sizes 2T to 4T) is jam-packed with one of a kind looks for your pint-sized fashionista! 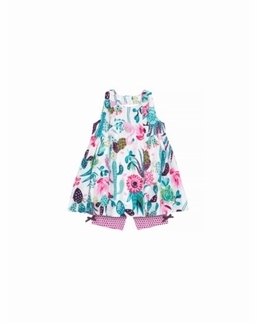 Looks by beloved designers such as Kate Mack and Biscotti make ideal toddler dresses while casual, yet-charming styles by Giggle Moon and Lemon Loves Lime, give her the comfort for parties and play that she needs. Adorables hand-selects standout looks for little girls sized 4 to 6X for all occasions, including school, sports, beach days and special occasions. Your little girl will love our selection of chic graphic tees, boho dresses, leggings and jackets for her early school years! We also have a selection of runway-ready formal dresses for special events and soirees! Dressing your unique tween and teen has never been easier! Simply show her our assortment of en-vogue girls styles and she'll be tickled pink! 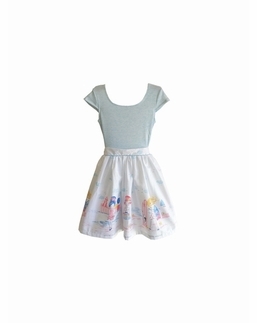 We select cutting edge designer girls' clothing with an emphasis on style and function. Couture conscious girls will find something to love in our size 7+ years section. 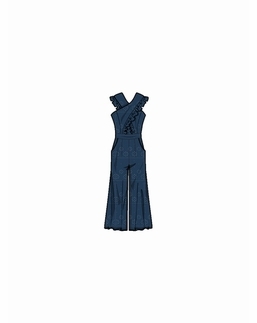 Options include jeans, swimwear, tunics, tops, rompers, dresses and much more!